When it comes to our attitudes towards God, five specific attitudes are urged on us. First, we are to be steadfast in our commitment (Prov. 3:3–4; cf. Dt. 6:8; 11:18). Love and faithfulness are a key Old Testament word pair suggesting the making and keeping of commitments. Such characteristics belong to God, and constitute aims for the human response to God and to other people (e.g. 14:22; 16:6; 20:28; Pss. 25:10; 40:10–11). Secondly, we are to be dependent in our thinking (Prov. 3:5–6). Trust and lean both suggest the physical experience of supporting yourself on something or someone in total and helpless reliance and commitment. Thirdly, we are to be humble in our obedience (Prov. 3:7–8). 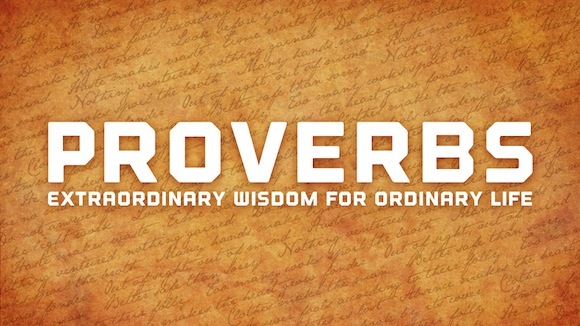 Wise in your own eyes denotes not merely proud of your own wisdom but self-sufficient in it and therefore not feeling the need to refer things to God (no doubt a besetting temptation for people committed to finding wisdom). Fourthly, we are to be lavishly generous in our giving (Prov. 3:9–10; cf. Dt. 26). Fifthly, we are to be submissive in our experience of affliction (Prov. 11–12; cf. Dt. 8:5). We can be those things because they will bring us favour (v. 4), direction (v. 6), health (v. 8), and prosperity (v. 10), and because the one to whom we submit in these varying ways is our loving Father (v. 12).